Carpet Cleaning can be a concerne who do you call? Can I count on them to be on time? Can I count on them to have good equipment? Yes you can count on All Star Carpet Cleaning we use safe products for you and your family. We have stste of the art equipment and we take pride in what we do. 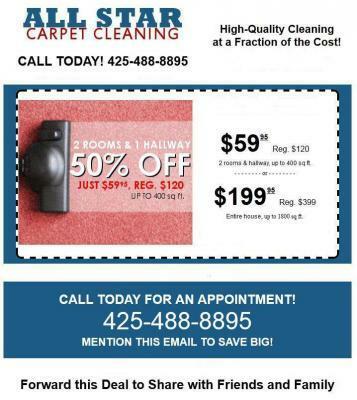 Carpet Cleaning in Lynnwood happens all the time and we clean carpets in lynnwood all the time. All Star Carpet Cleaning is looking forward to hearing from you and take care of your carpet cleaning needs.